Yasir Al-Rumayyan, head of the Public Investment Fund and the opening speaker at the event, also said his fund was targeting a $2 trillion portfolio by 2030. 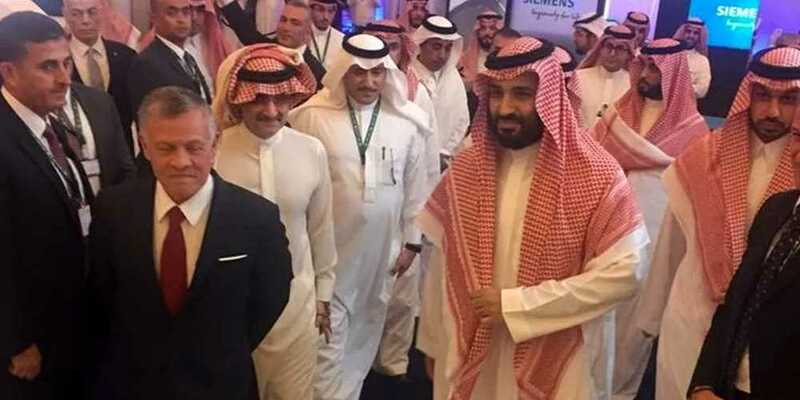 Pakistani Prime Minister Imran Khan, Khaldoon Al-Mubarak, CEO and MD of Abu Dhabi’s Mubadala Investment Company as well as Kirill Dmitriev, CEO of the Russian Direct Investment Fund, were all in attendance on Tuesday. Khan said, during the panel on emerging opportunities, that his country was looking for a mix of loans from the IMF and “friendly governments.” Khan added that he had spoken to Saudi Arabia's Crown Prince Mohammed bin Salman about boosting investment ties between the two countries. Saudi Arabia's Energy Minister Khalid Al-Falih praised CEO of French energy giant Total, Patrick Pouyanne, for standing by Saudi Arabia in this difficult period. "We see what partnership means when you have difficult times," Pouyanne responded as he shared the stage with Falih. On the energy and investment panel, Al-Falih noted that global oil demand would hit 120 million barrels a day in the next few decades, and that the Kingdom could boost its crude production by 1-2 million barrels a day. At the session, Saudi Arabia's Minister of Communications and IT Abdullah Al-Sawahah said: "Saudi Arabia is moving at light speed in becoming the tech hub of the region." Meanwhile, Emirati investor Mohamed Alabbar added: "There is so much room for technology growth in the Middle East, especially in Saudi Arabia, the UAE and the whole region." The three-day FII event will likely see more investment partnerships from Russia and China being forged, as noted by Ellen Wald, president of the Transversal Consulting think-tank and author of the recent book “Saudi Inc,” with executives still looking to do business at the Riyadh meeting despite some having pulled out.